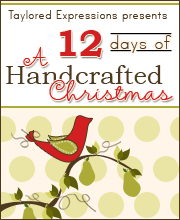 I started by stamping the trees and the water onto white cardstock. Then I stamped the surfer and sentiment and "dirtied" the edges of the panel by sponging brown ink around the card. 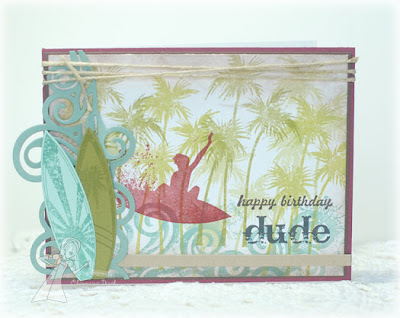 The border on the left was created using the Ride the Wave Border Die along with the Surfboard Die which coordinates with the surfboards in the set. Isn't this set perfect for young boys? Older boys too, but lately I've been needing birthday cards for little boys as most of my nephews have summer birthdays! 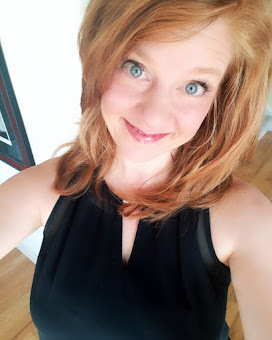 Well, I hope you've enjoyed all of the projects you've seen this week! Thanks for stopping by and have a wonderful weekend!! I love the way you used that wave die along the edge and behind the surfboards! I guess I really do need that die! You have used that set to perfection, Charmaine....this looks fabulous!!!! 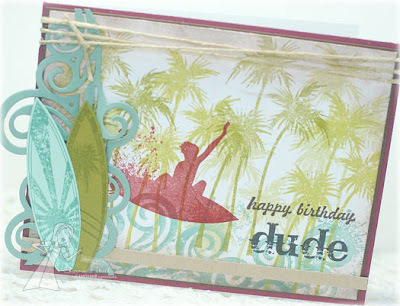 The wave and surfboard die cuts are the perfect details!! !